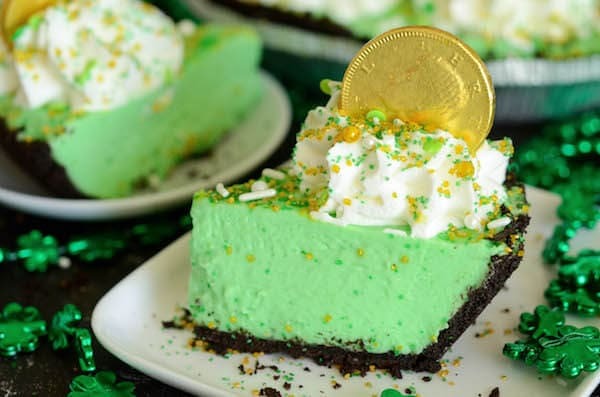 How adorable is this No Bake Shamrock Freezer Pie?! I know I made it, but I am pretty proud of it. I love the chocolate coins on top! 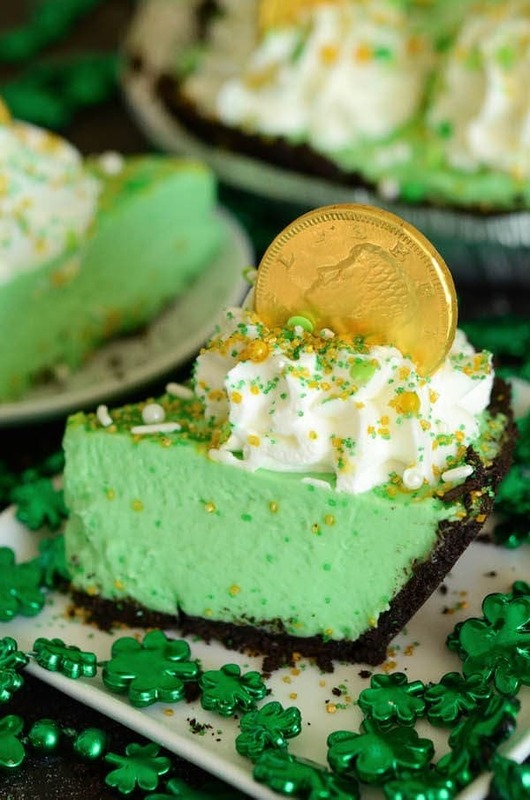 You only need a handful of ingredients to make this delicious mint pie for St. Patricks Day. It uses a store bought crust and homemade whip cream to make a deliciously easy pie. Jorge is 100% Puerto Rican and my family history is a mix of Louisiana and Mississippi…we don’t have any Irish among us. However, we can always get behind a fun holiday. 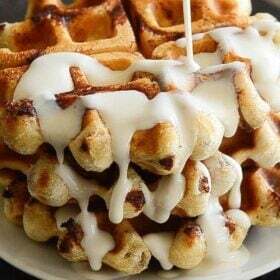 Some of my past St. Patrick’s Day treats have been my favorite Lucky Charm Marshmallow Treats and Jorge’s favorite Dark Chocolate Guinness Cake with Bailey’s Buttercream. The girls have really gotten into the spirit this year. We were at Target and they spotted all the fun brightly green and gold items. Ellie picked out some necklaces and has been wearing them non stop. Lyla found a pair of beer glasses that she thinks are amazing. I looked like mother of the year letting my two year old wear beer glasses through Target singing “True Colors” that she learned from the movie Trolls…that we watch almost daily at this point. I think this mint chocolate freezer pie really sealed the deal on the girls love of everything St. Patty’s Day. I mean, it was delicious, but it also turned their tongues green after eating two slices. 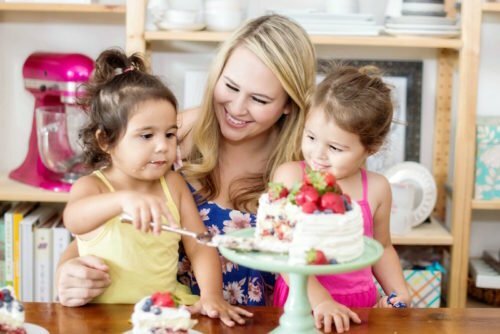 In toddler world, that is a winning recipe! 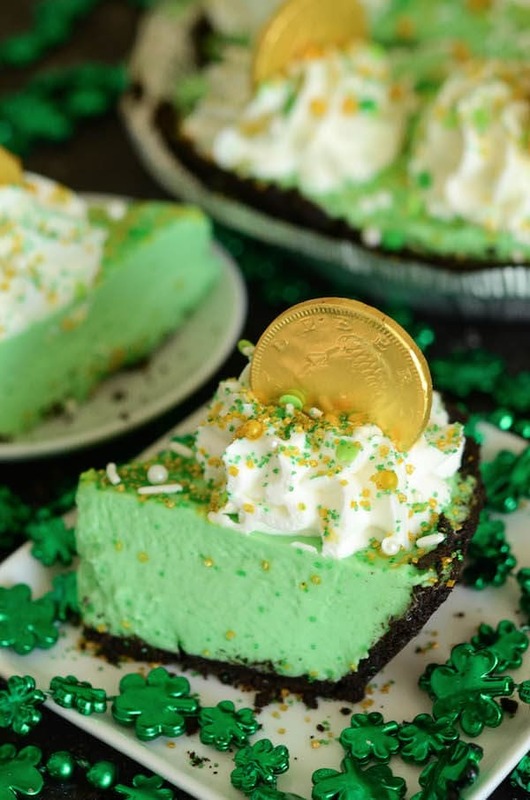 I made a quick video showing how to make this awesome No Bake Shamrock Freezer Pie! 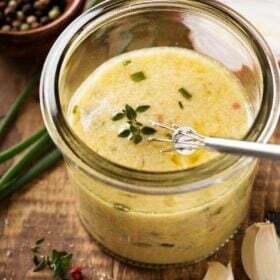 It takes about 10 minutes to whisk together and then you pop it in the freezer overnight and it’s ready whenever you are! 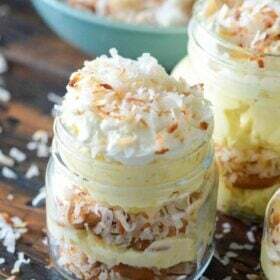 Gotta love those no bake desserts! This pie looks so fluffy and magical…and green! I love the colour! I bet it tastes even better too! This is so cute! I love it’s bright green color! I can see why your toddler loved this! It’s looks amazing and the bonus of having a green tongue will make my boys’ day! 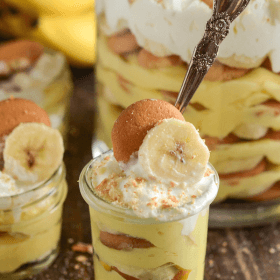 This is such a fun dessert! 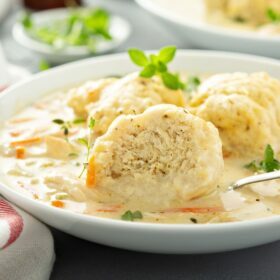 Mine and my hubby’s anniversary is St. Patrick’s Day and I would love to celebrate with this! 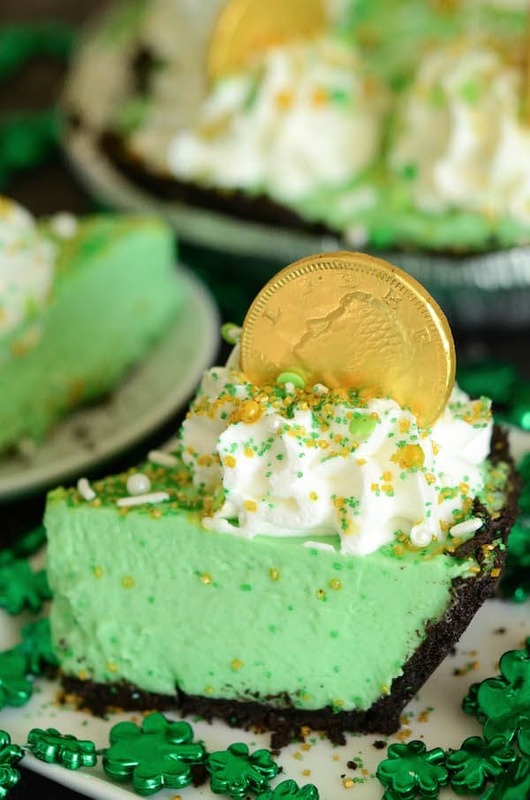 The chocolate coins are the perfect finishing touch to this pie! 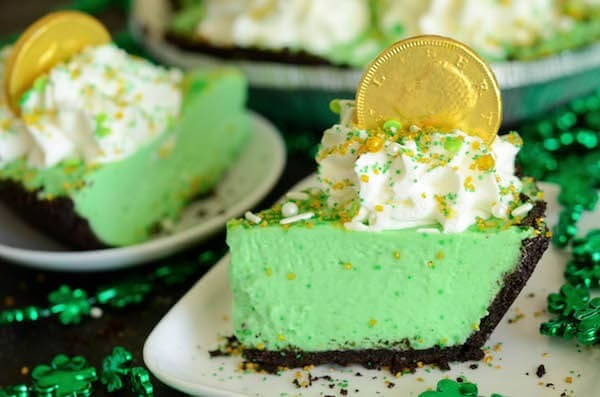 The perfect pie for St. Patricks Day! 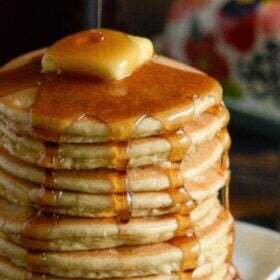 Actually, I’d love this any day!